Not long ago, I read a post by Jamie Ridler on Roots Of She, about the kind of advice she would give to her younger self. I think I recall writing a bit about it during #reverb10 as well, but I never allowed myself to get too far into it, because I was scared of what might come out. But the other day, Jess at So Uprightly Burning did a post on her letter to her 10-years-ago self, and it inspired me to finish mine. 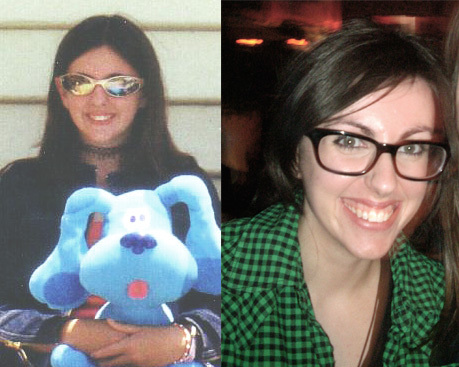 Me at around 14, and me today, 10 years later. Well, you’re 14 years old. And I can tell you that this year is going to be the hardest year of your young life so far. And the next couple of years after won’t be much easier. Your anxieties at school will get worse, you won’t feel safe in your own home, your self-esteem will be virtually non-existent, and people you love will die. You will feel so ignored at school that when your favourite art teacher reaches out to you, you will be so surprised that you won’t know how to respond. Don’t assume she’s just doing her job; she really does care. I know this because even today, ten years later, she still remembers you. I’m telling you all of this because I want you to know that, no matter how unbearable it all seems, and how lost you feel, you will get through it, you will find your way. The next few years will be dark, but there is so much light, so much good, waiting for you on the other side. Everything you are going through will be worth it, and everything these tough times teach you, about yourself, about others, and about life, will one day serve to make you very strong. Just remember, everything happens for a reason, and things will get better, a lot better. I promise. Please know that those people who hurt you, they do it because they, too, are suffering. It’s not your fault. They hurt others because they are hurting. You don’t have to put up with that in your life. Speak up. It will take a long time for you to fully trust others, but someone will come along who will show how to love. While you are running around chasing boys and looking for someone to love you, your soulmate will be right under your nose, and he will have already fallen for you before you even know his name. It’s okay; you can trust this one. This boy won’t hurt you. So don’t get suspicious every time he gives you a compliment; he really does think you’re beautiful. He really does love you. And he really will marry you one day. He will heal your closed heart, help you see how amazing you are, and show you what it’s like to have a real home, one where you feel safe, loved, and free to be who you really are. You can tell him your secrets, your fears and your dreams, and he will love you even more in return. He will love you completely, every part of you, the good and the not-so-good. And you will feel the same about him. You will be a blessing to him just as much as he will be a blessing to you. He makes everything you are going through now so, so worth it. In regards to friends… well, don’t go the extra mile for anyone who wouldn’t do the same for you. And remember, anyone who gossips to you, will gossip about you. Even the ones who you think you can trust with your life. Some friends you have now you will still have in ten years. Others will try to take advantage of you, and as soon as you are strong enough to stand up for yourself, you will realise you don’t want them, or their never-ending dramas, in your life anymore. It will be a hard choice to make, but I promise you won’t regret it. In fact, by cutting them out, you will see just how much negativity they brought into your life in the first place, and you will have so much more room to grow into the positive woman you are meant to be. Also, don’t get caught up in the aftermath of that ended friendship. The more drama they create about it, and the more lies they spread, the more they prove to you that you don’t need them in your life. Send them love and move on to the more awesome things that are coming your way. 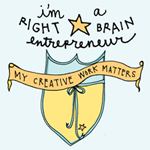 Keep drawing, painting, creating, writing, and expressing yourself through art. You have no idea how much you need it to heal, grow, and be happy. And never stop dreaming. That life-long dream you have of living overseas? You accomplish it at 23. I know, pretty awesome huh? You will also have your first art exhibit at age 22. And all those other things you dream of? You can do all of it. You really can. Don’t avoid the things, places or people that make you anxious. You know those freak-outs you have before school, that you think are normal? Those are panic attacks. One day you will be so ruled by them that you never leave the house alone. Not even to get the mail. Don’t worry; you need to live through that. That’s what causes you to do something drastic, like moving to China for a year. That will help you to overcome the anxiety pretty quickly. You will learn that your fears aren’t real, and that every time you face the things that scare you, the stronger and happier you become. Then you will realise how brave you are, to do things that terrify you every single day. Also, it’s okay to change your mind about what you want to do. Keep trying new things until you find what fits. A lot of those people who put you down for changing your mind will end up feeling stuck, doing jobs that they hate, and having no idea what they want to do with their lives. So don’t listen to their opinions. Only listen to those people who are already living the kind of life you want to live – everyone else is just guessing. I know right now you don’t know much about positive thinking, but you are always trying to see the bright side. Don’t listen to those people who call you unrealistic. What they don’t know is that it is optimism that will get you through the next few years, and start you on an amazing journey that will lead you to living such a happy and amazing life. So, there will be a lot of tough moments in your life over the next ten years. But there will be even more amazing, happy and love-filled moments. So just keep going. Most of all: Be kind to yourself. You are so worthy of love and respect, but it starts with you. Love yourself first, and everything else will fall into place. Make loving yourself your number one priority. Today marks the beginning of a new monthly segment on My Smiling Heart, in which I interview inspiring, passionate, and creative women about how they are following their bliss and living a positive life. Our first amazing guest couldn’t be more fitting of this description! Jessika Gilker is a Free Spirit who spends her time taking pictures, doing yoga on the beach and travelling off the beaten path in her quest to live a full authentic life. 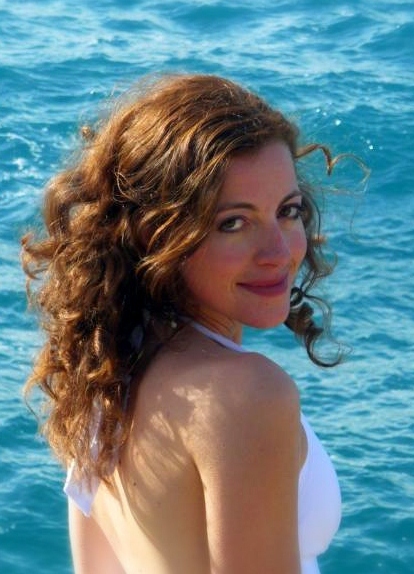 She lives in Greece where her and her husband run Fresko, a Juice Bar on the Beach. I discovered Jess’ blog, Bohemian Musings, only a few weeks ago, but I’ve already been so inspired by her journey and wisdom, I just had to ask her to be the first My Smiling Heart interviewee! What encouraged you to start Bohemian Musings? I started Bohemian Musings in the New Year on a whim, wanting to learn more about the world of Information Technology, as well as explore my Passion for writing and photography. I want to Challenge myself on a whole new level and expose my Thoughts, Feelings and Inspirations for the world to see. Being vulnerable is scary but can teach you so much about yourself. I’m introspective by nature. I spend a lot of time with my thoughts in my head and tend to share them only with my closest entourage. So this is a way to set those thoughts free. Since I’ve chosen to live an Unconventional life by society’s standards and have found success and happiness on my personal journey, I hope I can help others see that it’s not out of their reach either. Meeting really cool, like-minded individuals (like yourself) is an added bonus of being a blogger. Do you know what things you need to do on a regular basis in order to maintain your happiness? What are they? Yoga is my salvation, it keeps me centered and in the present moment, while laughing and being around the people I love is what makes it worthwhile. Writing, photography and design are what I need to do regularly to let my creative energy free and being curious and learning keeps my life fresh and exciting. My strong interest in nutrition and my vegetarian lifestyle keep me healthy and ready to pursue my frequent adventures even if it’s exploring something on my doorstep that I’ve never seen before. Making sure to spend time alone each day to reconnect with my thoughts allows me to be rejuvenated and ready for whatever life throws at me. What advice would you give to someone who is going through a challenging time? Don’t give up. Challenges, fear, and self-doubt are all part of the journey. Roadblocks are placed strategically on our path to see just how badly we want something. If you persevere you will succeed. Instead of viewing obstacles negatively, and allowing them to stop you from your goals, ask yourself what lesson you can gain from what is happening. As long as you are following your passions and being true to yourself you will make it. Remember, that those who fail and quit, are usually just around the corner from turning their dreams to reality. Why do you think it is so important that we make our own paths in life rather than follow the paths of others? Following anyone else’s path in life except your own will only lead to misery because it means ignoring your inner voice. I tried it by wearing a white lab coat and studying bacteria, but it quickly ate away at my being until there was no other solution but to accept that this was not for me. Instead of ignoring what was left of my soul, I chose to listen to its cries. My intuition served me well, and I was soon on my way to a dream internship doing research on Loggerhead Sea Turtles in a small village I never heard of in a country that I had never really given much thought. The next 6 months gave me time to reflect and realize where and what I wanted to be and following my inner voice has led me to achieving more than I could have ever imagined. We weren’t created to follow others. We all have unique talents that we need to share. The universe wants to help us achieve our dreams but we must first believe in ourselves. 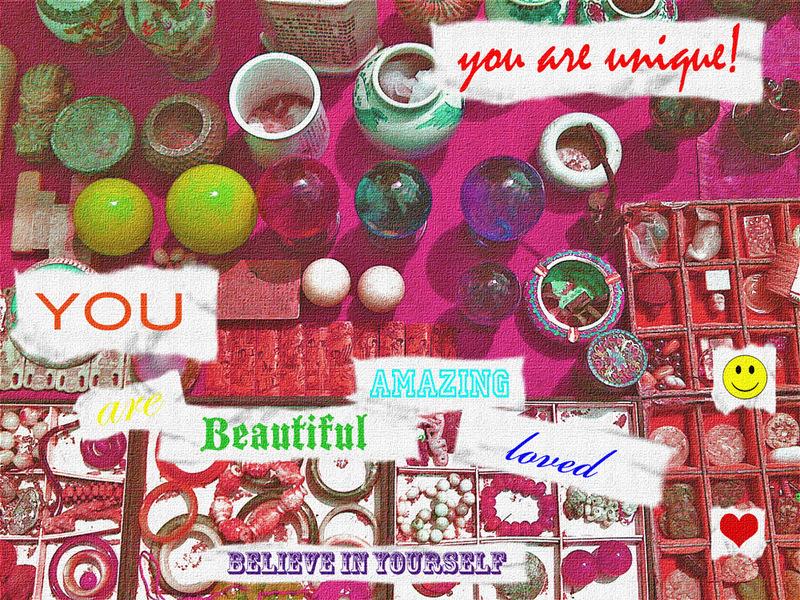 If we spent less time comparing ourselves to others and more time realizing that being unique is a blessing, something to be cultivated and then taken and served to the world as we see fit then we could all be happy on our own unique paths. What has creating your own path in life taught you most? Any goal, or dream that I have pursued with all my heart, strength and courage, I have achieved. Some have come easy, others have tested every last ounce of power from my being, but through hard work and perseverance, they have become a reality. I also learned that I was much more strong than I gave myself credit for and to always trust my intuition. What wise words do you live by? Live. Love. Laugh. Three simple words that individually hold such a strong message. They are the three ingredients to a happy and successful life. I’m really proud that I had the strength and courage to know that I had to choose my own way from an early age. I’m happy I went to University and tried the career route early on, so that there are no doubts in my head about which is best for me. I’m proud to be living my journey on my own terms. Professionally speaking, Fresko, my Juice Bar in Greece is a joint effort of creativity and love that my husband and I have made a reality and I’m real proud of our success. What is the best piece of advice you have ever been given? Who gave it to you? I was lucky to have a very wise and supportive father, who was also a free spirit in his own right. He always made me believe that I could achieve anything, and that no dream was crazy as long as it’s what I really wanted and worked hard to attain it. He instilled great confidence within me and gave me space to make my own decisions from a very young age. He set me on the path to think for myself and I surely would not be where I am today without such a great influence. My life. My family. Being a Generalist (Jack of all Trades) has opened me up to so many opportunities and has helped to push me in the direction I am in today. If I didn’t have the ability to be passionate about 101 things at the same time (Yes, it’s normal), then I would not be where I am. My passions lead me to more passions and in turn to adventures that have opened door after door in my life. How do you want to inspire people? My hope is that if someone can find one positive or inspiring message or idea from something I have written or experienced and can add it to their own life and it allows them to take a step closer to a goal or dream then that would make me happy. Life is so short and so beautiful, I just want to inspire people to open their eyes and take a deep breath and really see what’s around them, then LIVE, but according to their own rules. So many simple things 🙂 Sunrises, yoga on the beach, a good book, bird’s singing, the exhilaration in discovering a new place through Travel, my husband’s laughter, Broadway, my Spaniel, Murt and Harry my rescued cats from Croatia, inspiring blogs, music, bright colors, vegetarian/vegan restaurants, Organic Fair Trade Coffee, Champagne, Sunsets and the list goes on and on…. Join Jessika on her Journey at Bohemian Musings, where she blogs about her thoughts and inspirations on how to live an Unconventional life straight to your dreams. Follow her on Twitter @bohemianmusings. Hope you enjoyed the first My Smiling Heart interview! *Did you see my guest post on The Mad To Live? I was asked to write about what I would say in a message in a bottle – so much fun! 😀 Check it out here! Posted in Inspirations, Interviews, Introducing..., Online, People, Wise Words Wednesday! It’s amazing how much travelling can put personal growth and self-discovery into warp-speed mode. Being in a new place, whether it’s around the corner from your home or on the other side of the world, heightens your senses and forces you to live in the moment, taking in everything you possibly can. 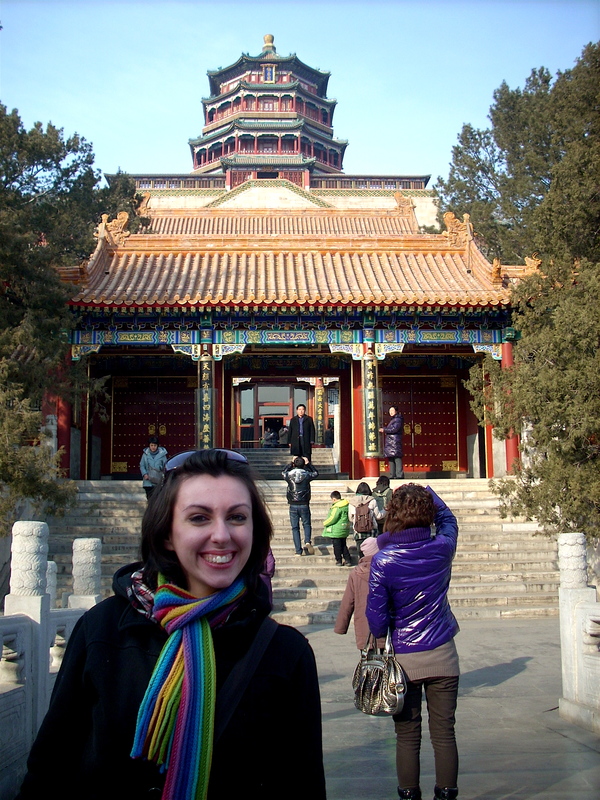 I learnt a lot about myself recently when Mike and I spent a week in Beijing. Even though we’ve been living in China for seven months, this was our first real back packing adventure with just the two of us, and something we had wanted to do for years. Even though I had an amazing time there and will always look back on it as one of my best adventures yet, I wasn’t really looking forward to it beforehand. We had organised to stay in a hostel, something I’d never done before, and even though we had booked a private room, I was a bit anxious about it. I’m a pretty shy and quiet person, an introvert, so being in a place that constantly has such a huge social atmosphere is a little overwhelming. The overnight train rides to and from Beijing had also been making me a bit anxious, as it requires being in a cabin with total strangers for twelve hours, spending most of your time trying not to invade each others’ space while you attempt to navigate the bunks or move around the halls. The fact that I had been worrying about these little things for the days leading up to our Beijing adventure obviously didn’t help anything either, so I eventually found myself losing all excitement for it. But, as usual, I soon discovered that my worries were complete fiction, a waste of time, complete an utter bull. I have learnt, during my years overcoming anxiety, the only way to stop being afraid of something, is to just do it. The train rides were actually pretty fun, and not at all as bad as my mind had made me believe it would be. 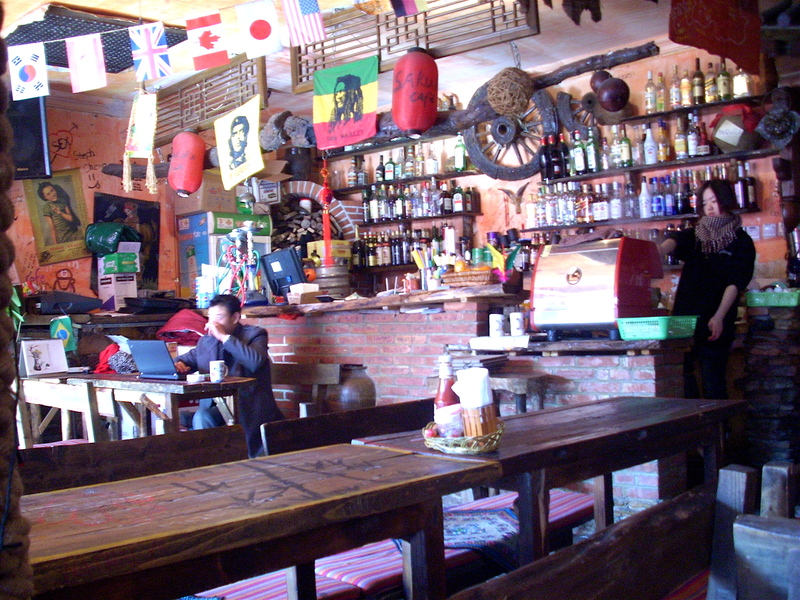 The hostel, well, that was just plain AWESOME. The people we so cool and friendly, the room was great, the food was freaking delicious, and we were encouraged to grab some textas and write on the walls. That is every artists’ dream! The 365 Inn, where we stayed. It ended up being one of the best weeks of my entire life, full of adventure, risk-taking, meeting new people, seeing amazing places, and coming home with a thousand awesome memories and a new sense of confidence, accomplishment and self-awareness. 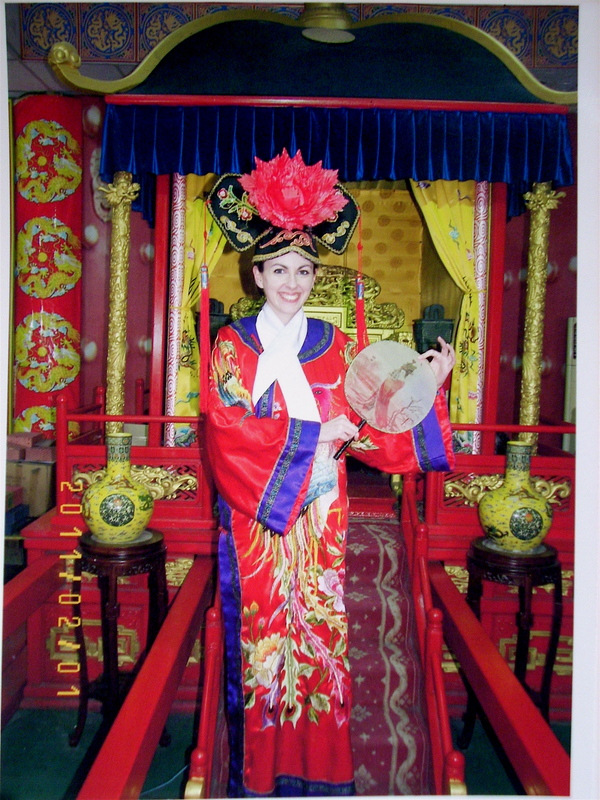 In a traditional Chinese dress. A moment I know I will never forget occurred on Chinese New Year, Mike and I were standing on the rooftop of the hostel, counting down to midnight, and being completely surrounded by fireworks. Explosions of sound, colour, and cheers erupted again and again for almost an hour as families and friends throughout Beijing celebrated the new year. I felt so blessed to be there to witness it, and I knew in that moment that I had come so, so far… too far to ever go back to the person I used to be. I felt a wave of relief as I realised then that my fears would never get in the way of me living my life ever again. I was reminded of that rooftop moment just the other night. 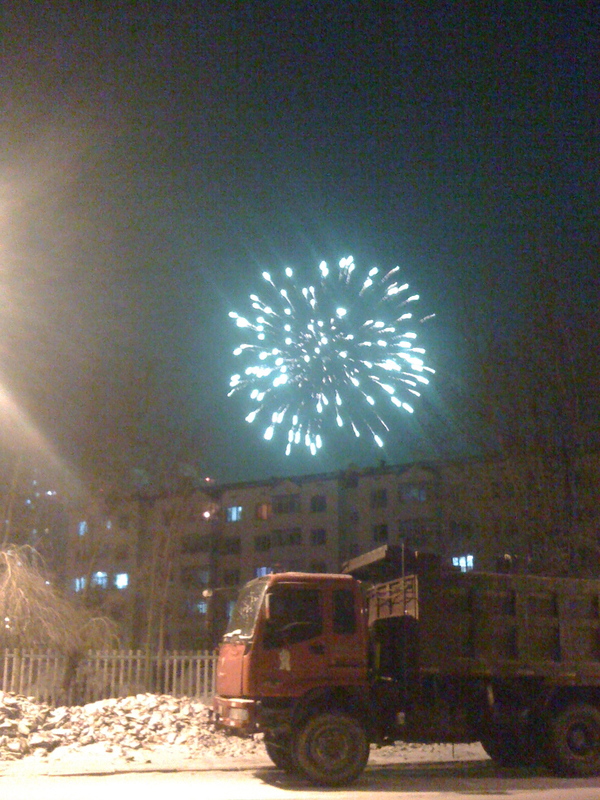 I was walking through the snow on my way to meet Mike for dinner, when fireworks started exploding right in front of me, continuing the 15 day celebrations for Spring Festival. As I looked up at the amazing colours falling from the sky, and felt the sweet kisses of snowflakes as they touched my skin, I realised I was, in that moment, proving to myself that I can do anything. You see, a year ago, I was too afraid to open my front door when the doorbell rang. Too anxious to walk down our short driveway just to check the mail. I even avoided going into the backyard alone, in case I was seen by a neighbour and forced into a potentially uncomfortable or awkward conversation. I would never have admitted it then, in fact I wouldn’t have admitted it even six months ago, but I was so trapped by my own fears that I just avoided them altogether, until I couldn’t leave the house unless I was with someone. So, imagine my pride when I suddenly realise that I am walking through the streets of a foreign city, in a foreign country, at night, completely alone, and with a freaking huge smile on my face! Thousands of miles away from my comfort zone, and not a single worry or fear on my mind. That’s what travel can do for you. Not long after that amazing moment on a rooftop in Beijing, but before that amazing moment in the snow, I was walking through some markets and found a stall that sold rings. I noticed one with four Chinese characters on it, and asked the woman working there what it meant. I wrote that on the wall of the 365 Inn, so that others can be inspired by it just as I was. I’m wearing that ring now, as I write this. And I will always wear it, as a reminder of how far I’ve come, and how much I’ve overcome, in order to find my own peace, peace within myself, peace with my fears, and peace within the world. Take some time now to look back and notice how far you have come, and what you have overcome in the process. Be proud of everything you have achieved, and how much you’ve grown! And be grateful for all the lessons you have learnt in between. 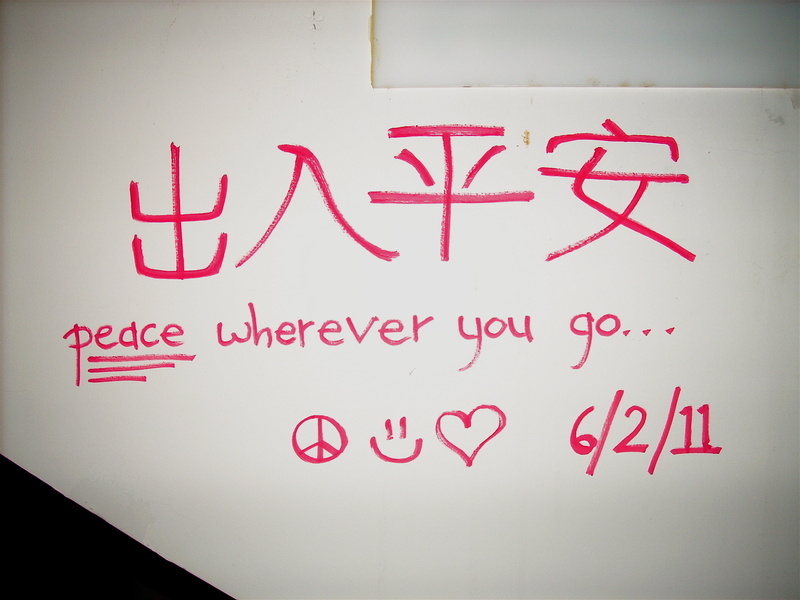 Written on the second floor staircase of the 365 Inn, Beijing. * Are you on Facebook? So is My Smiling Heart! 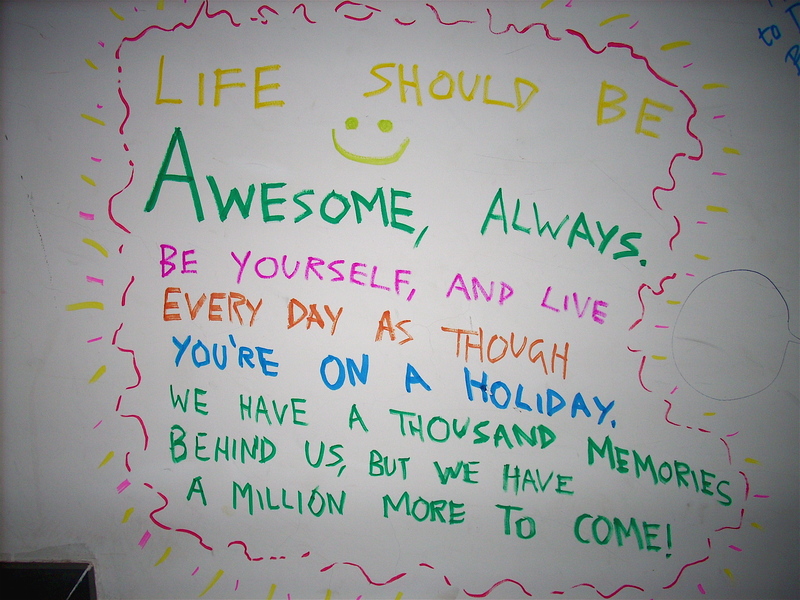 Come and join us for extra fun and daily doses of awesomeness! Well, I’m back from a seriously amazing week in Beijing, which I will write about soon, but for now here is another edition of Wise Words. Enjoy! The very handsome & charming Ewan McGregor (whose name is so fun to say in a Scottish accent. Go on.. say it 🙂 ) said these wise words during an episode of his awesome series ‘Long Way Round’, which is my latest obsession. 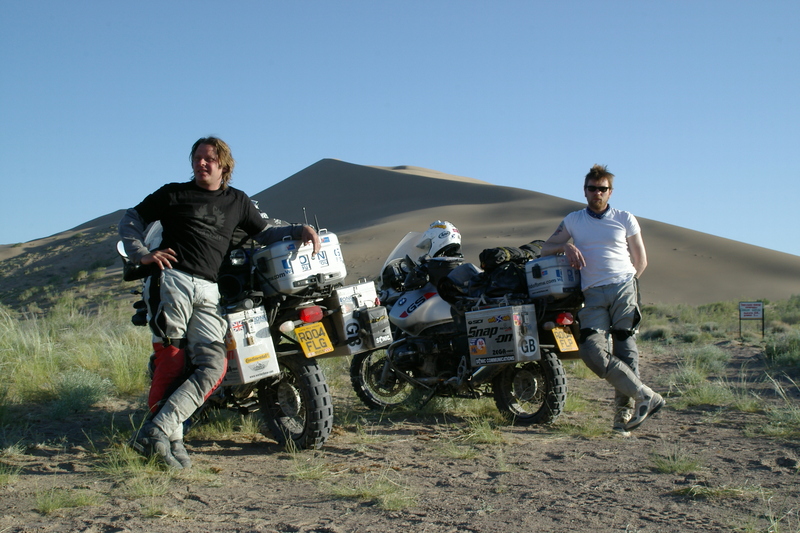 In the show (which is also now a book & another series), Ewan & his best mate, Charley, ride their motorbikes from London to New York, travelling through countries such as France, Slovakia, Kazakhstan, Mongolia, & Russia. I have to admit, at first I was really only watching it because I have a tiny crush on Mr McGregor (who doesn’t?) & I love seeing actors being so raw & discovering what they’re like without a script. But I’ve completely fallen in love with everything about the show, from learning about places like Kazakhstan & Russia to the hilarity & complete honesty of Ewan & Charley’s friendship. It is so awesome to see two mates leaving everything behind for a few months & embarking on such an amazing adventure. The challenges they face are overwhelming, yet they never once give up or lose sight of their goal of getting to New York. Their positive attitudes throughout the whole experience, & the awareness they have of themselves & how their mindsets affect their experiences, is an inspiration. Ewan in particular is very thoughtful in his reflections of the experiences they have, recognising the challenges as ‘tests’ that will make them stronger & make their memories of their travels that much sweeter. Even though I’ve only travelled to a few places, mostly in Australia, then the USA when I was 17, & more recently, China, I can still really relate to this quote. With all of the differences that set me apart from the 1.3 billion people in this country, at our core, we are all the same. We all need to eat, we all need somewhere to sleep at night, & we all need to feel love, & we all just want to be healthy & happy. Being here for exactly seven months now, I’ve become quite accustomed to all the differences, the oddities, & the things that I once found so frustrating. Now, I can recognise myself in everyone that I see, in the tired eyes of the workers on the street, the curiosity of the taxi drivers & the smiling faces of the children. In fact, what I’ve noticed most recently since being here in China, isn’t the spitting or the pushing or anything negative, it’s the smiling. It started because we get stared at a lot here, & my natural reaction to anyone staring at me is to smile, & straight away they smile back. From the ancient & hunchbacked old man that lives in our building to people in the shopping malls & all the children we see every day, they all smile back. It doesn’t matter that my skin is lighter than theirs, that I speak a different language or that I do things differently, when we smile at each other, there are no differences. A smile is all it takes to know we are all the same. And people are almost always willing to help us. Being in a foreign country, we often get confused or a bit lost, but there has always been someone there who has gone out of their way to try to talk to us & help us find our way again. And as I watched Ewan & Charley travel through 12 different countries, my heart smiled to see that there are people like that all over the world. So, the moral of this story is one that seems to pop up a lot on this blog: smiling can change the world. Smile at yourself, & you have a happy heart; smile at a stranger, & you have given someone else a happy heart. This week’s Wise Words post is a bit different. Recently, I was interviewed by the lovely Tess Marshall from The Bold Life, & it has just been published! For anyone unfamiliar with The Bold Life, it’s an amazingly inspirational self-development blog that always provides wise insights & encourages everyone to live boldly & speak their truth. I was absolutely thrilled to be interviewed for such an awesome blog & am so excited to share this great news with you all! The questions I was asked for the interview were so challenging, they really made me think a lot more about who I am & how I could still live a much bolder life. If you are feeling particularly bold yourself today, I encourage you to take a look at some of the questions I was asked & take some time to think about what your own answers might be. You might be surprised! Feel free to comment on it after, I’d love to know what you think! To celebrate Australia Day, I decided to write a list of all the things I have missed the most about Australia while I’ve been living here in China. I don’t mean to give a negative impression of China, because I love living here & there are many great things about this country, but I couldn’t write this list without pointing out some of the main differences between China & the country I grew up in, Australia. I don’t mind these differences at all; they have taught me more about the world & made me more appreciative of where I’ve come from. Streets that aren’t covered in spit, poo, wee, & rubbish. And the people, who don’t spit everywhere, cough or sneeze on you, use the footpath as a toilet, or throw their trash onto the street. Being able to stand in the line at the supermarket without someone pushing in front of you, or moving your groceries off the counter & putting their’s there instead. Being around people who don’t steal your seat on the train, push you, poke you or stare at you everywhere you go. Public toilets that are more than just holes in the ground, & that already provide toilet paper so that you don’t have to carry it around with you every time you go out. Plumbing that is strong enough to handle flushing toilet paper, instead of having to put it in a bin. Tight arse Tuesday is cheap cinema ticket day back home. I miss the whole experience of going to the movies; deciding what to see, dinner beforehand, waiting in line for the tickets, getting popcorn, watching the previews… I miss not being able to do that whenever I like. Hanging around the BBQ, chatting with friends, & enjoying the sunshine. Good food, good music, & good people. I couldn’t write a list of what I miss about home without including my family & friends. They are the people that make life worth living & miss me just as much as I miss them. All my life, I’ve always been only a short drive or a long tram ride away from the beach. Here, the closest beach is an overnight train away. I feel almost claustrophobic being so far away from the ocean. One of the first things I’m doing when I get home is heading to the beach to sit on the sand & watch the waves. As I sit here listening to the Triple J Hottest 100, I’m enjoying listening to the hosts voices more than the music. I miss the accent, the slang, & the laid back ‘yeah nah yeah’s. 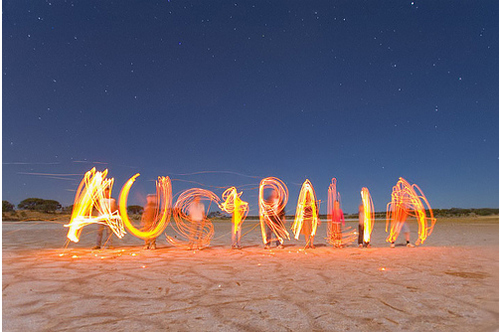 The chilled out, laid back, & ‘she’ll be right, mate’ attitude that makes Australia such a relaxing place to live. Being always ready to have a laugh or help someone out, & the focus on the important things, like family, friends & enjoying life. Check back tomorrow for a special Wise Words post! At the beginning of 2010, I had two major goals; sell one of my paintings; & travel overseas. In April, I achieved & my first goal. In fact, not only did I sell a painting, ten of my original pieces were featured in my first ever art exhibit. That whole experience was so much fun, from creating a theme that promoted women empowerment & self-love, & spending the first few months of the year doing nothing but painting every day, to sending out the invites & the excitement of opening day. It was AWESOME & it felt so right that I know I will be doing it again in the future. Three months later, I achieved my second goal of 2010, when I moved overseas for a year. This goal wasn’t just a 2010 goal; it was a goal I had dreamt of achieving for as long as I can remember. Sometimes I still can’t believe that I’ve actually done it! On our way to China! I’ve crossed off a few other things from my life goals list this year too; getting engaged; using my artistic skills to help raise money for charity; & experiencing a white Christmas. Then there’s just the bonus experiences & moments that were completely unplanned but will always be great achievements in themselves. Things like white water rafting in the mountains of far north China, walking through the grasslands of Inner Mongolia, where I also explored underground Japanese tunnels from before WWII, & most recently, starting this blog & being published on Tiny Buddha. 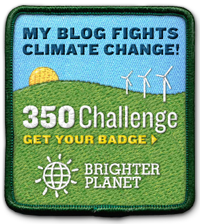 My Tiny Buddha Guest Post! I am so grateful for everything I have accomplished, experienced, seen & learned this year. I know I have come a long way, & traveled on a path with many highs & lows & even some u-turns, but I couldn’t be happier with where it has all lead me. 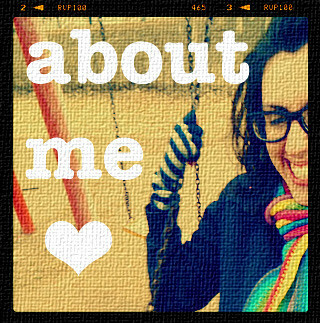 So, I wave goodbye to 2010, with a big, cheesy smile & a heart full gratitude for everything it brought me. Now, it’s time to say ‘Hello!’ to 2011, I welcome this new year with open arms & another big, cheesy smile. I have a few other goals that I’m already working on, such as finding more ways to use my blog & art to inspire others, collaborate with amazing women to make something awesome, & learn Mandarin. ‘I know it won’t be easy, but it might be fun, inspiring, awesome and wonderful. Therefore I’m promising to make use of The DailyPost, and the community of other bloggers with similiar goals, to help me along the way, including asking for help when I need it and encouraging others when I can. Most of all, I just want to take a lot of action in 2011. I’ve been trying to decide whether ACTION should be my word for 2011 (I mentioned this to someone who commented here recently), it’s either going to be ACTION or INSPIRE. Then there’s always the option of combining them to make INSPIRED ACTION. Yes, I think that’s it. 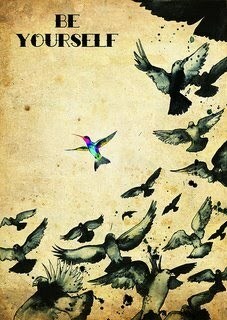 2011 is my year to take inspired action. 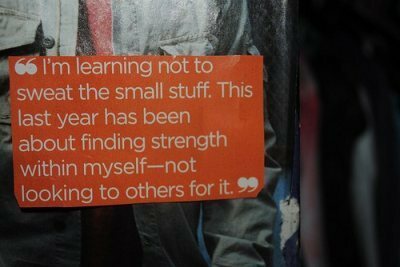 By the end of 2011, I want to be a better version of myself. I want to be stronger, wiser, much more confident & independent, & I want to have achieved a lot & have really made a positive impact on the world. 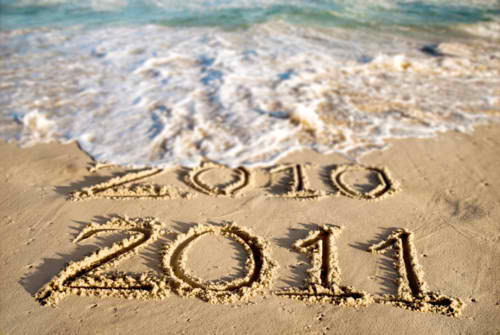 As you say goodbye to 2010 & welcome 2011, think of how far you’ve come over the past twelve months. Remember the good times & how much happiness you felt, & consider the not-so-good-times & the lessons they brought you. Think of all those special moments that you will always treasure, & take note of all the things & people you are grateful for from 2010. Now, imagine how amazing 2011 is going to be. Think of all those positive things & people that made 2010 so great, & imagine all of that & more being a part of 2011. Last week I wrote a post about how we have the power to choose the kind of day we have; imagine the possibilities if we apply that knowledge & power to an entire year! As long as we remember to enjoy the great times & learn from the challenges we face, there’s no stopping us! Today, when I looked at all my goals, hopes & dreams for the next year, I noticed a pattern begin to form. They all involve personal growth, inspiring others, & experiencing all that life & the world has to offer. As I connected them even further, I realized that my most desired goal for 2011 is to end it with even more love, happiness, health, & purpose than I am ending 2010 with. If, a year from now, I can look back on 2011 feeling like the best version of myself I have ever been & knowing that I gave it 100%, I will be satisfied & proud. I’ve decided to go with the ‘10 thoughts’ option in order to experience those feelings of confidence, accomplishment, joy, love, purpose, satisfaction & pride today, because what you think about, you bring about. “If you put your mind to it, you can accomplish anything.” ~ Marty McFly (Michael J Fox) in ‘Back to the Future’. 8. Think, do, be, positive. 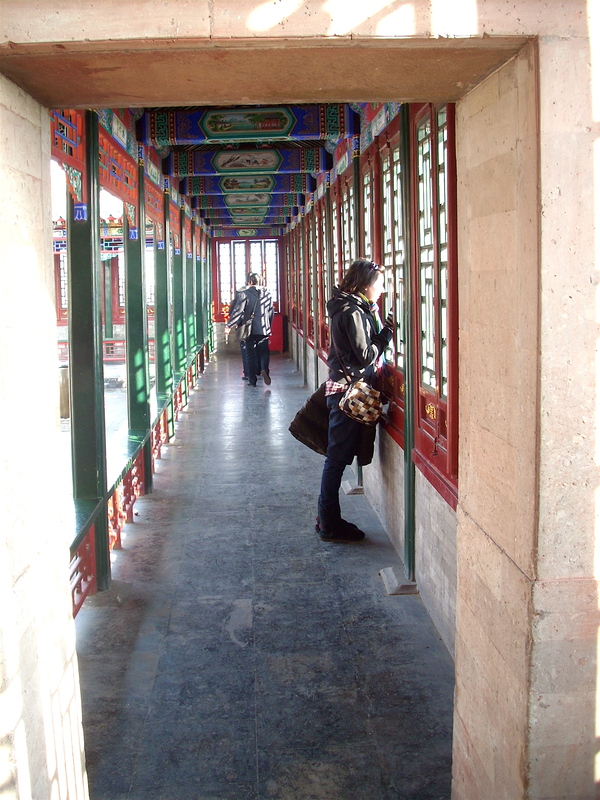 The defining moment for me this year would have to be the moment we decided to move to China. As I described in my Tiny Buddha guest post, there have been so many ups & downs & lessons learned through a whole series of events that all lead back to that one decisive moment. I am so grateful for that moment & everything I have experienced since, & I am 100% certain that I would not be who I am today without it. The two most memorable gifts I have received this year, aren’t special to me because of their monetary value, one of them didn’t even cost a thing. These gifts are special to me because of their meaning, & what they symbolize in my life. The first, I received back in April; an engagement ring from my soulmate. And while I do think it’s totally romantic & awesome that it boasts diamonds, my birth stone, & was designed by Mike especially for me, I get the most joy out of what it symbolizes. It’s not just a ring, it’s a symbol of Mike’s love for me, & his commitment & desire to spend the rest of his life with me. It represents our friendship, our love, our past & our wonderful future together. The second gift I received only last week; a link to a YouTube video from my brother. It may not seem like much, but it is one of the sweetest, most meaningful & comforting gifts I have ever received. For most of it, I just thought it was really cool that this guy had summed up all my feelings about Christmas in a song, from consumerism to family. This is when I started to cry like a baby. This is when I realized that my brother wasn’t just sending me a video about Christmas, he was sending me a message. He was letting me know that he misses me. He was letting me know that, even though I’m ‘nine thousand miles from home’, my family – Mum, Dad, him, my other brother & sister, my aunts, uncles, cousins & my Nana, were spending their Australian Christmas in the sun, & missing me, thinking of me, & waiting for me. It makes me tear up even writing about it. But I love it so much, & it means more to me than almost any other gift I’ve ever received. I’ll never forget it. Moments, Wonder & Letting Go. Before I continue with the #reverb10 prompts, I just want to point out the little snowflakes you’re seeing floating down the screen – aren’t they awesome?! Two moments come to mind immediately. #1: The night that Mike proposed to me. It was on our four year anniversary, we spent the weekend in a beautiful cabin in Ocean Grove, a beachside town we love so much. We had dinner at a really cool Mexican restaurant. After dinner, we went to the beach. We sat on the sand for a while, looking out at the ocean & up at the cloudy night sky. As we sat, Mike started this long speech about us, & how much he loves me. His words started to become a bit incoherent, like he wasn’t even concentrating on what he was saying, & I realized he was trying to distract me from the fact that he was fumbling around for something in his pocket. Next thing I knew, he was on one knee, holding open the engagement ring box & proposing. I could hardly see the ring because it was so dark but I didn’t care, the love of my life & my best friend in the whole world was asking me to spend the rest of my life with him! It was awesome. I said yes (of course!) &, after Mike did a few victory laps along the beach, we spent some more time looking at the ocean & the stars, which had come out from behind the clouds to celebrate with us. #2: Our first day in China. This was both incredibly liberating & intensely terrifying. The first thing I noticed was how hot it was, a surprising but nice change to the freezing Melbourne weather I was experiencing just the day before. During the drive from the airport into Daqing, I remember thinking how beautiful it was; the sun was bright & the sky was a clear blue, & for most of the ride we only saw paddocks & lots of green empty land. But the closer we got to the city, the more daunting it all became. I started to notice the hundreds of huge oilrigs all over the place, as well brick huts – falling apart but clearly still lived in – then they were replaced with huge buildings that looked completely abandoned. Out the window I saw a new Honda on one side of our van & a donkey pulling a cart on the other. Our first meal was in a dumpling restaurant, where I felt even more overwhelmed. Even more people, so much noise, people yelling over each other in a language I didn’t understand, the heat, men sitting at dinner tables with their shirts pulled half way up their chest to reveal their huge stomachs… And every single one of those people was staring at us. I remember sitting at our table, drinking the hugest bottle of beer I have ever seen, & being completely terrified. That night, I remember lying in bed, feeling exhausted, & wondering what the hell we had gotten ourselves into. Of course, even though that was all just culture shock, most of you know that things didn’t really get better until they got much, much worse. But China isn’t scary to me anymore, you get used to all the differences & things that seem weird, gross, or scary, become quite normal. I love it here now! I’ve let go of a lot of fears this year. Particularly fear of failure. The day that I was fired, all I could think about was what others would think of me. I thought about my family being disappointed, my friends feeling sorry for me, & those few people from my past who would take pleasure from my failings & use it to boost their own egos. I was humiliated, & didn’t want anyone to know what had happened, how I had failed so massively. But now, literally thousands of people from all over the world know my story, you all know about my ‘crushed dream’. Everyone in my family knows, my friends know, & if things like facebook & twitter haven’t informed those people, who I let go of years ago, of my imperfections, then gossip sure has. And I couldn’t be more comfortable with that. Not only has sharing my story with the world helped others; it’s helped me. I’ve let go of caring about what others think of me. I’ve learnt that it’s okay to be vulnerable sometimes; it’s a part of being human. And I’m over all the phoniness & the quest for perfection. It’s getting old fast. I’m here to be real. Now. I’ve seen people trip over their own feet, fall flat on their face & get up quickly, denying their faults & blaming someone else for tripping them up. This year, I’ve learnt not to care about who sees me fall. If I fall, I know I’m falling for a reason. I’ll stay down for a little while, feel the pain, learn what I need to, then get back up & start again. Maybe even have a chuckle at myself for losing my balance like that. Let me tell you about my day today. I woke up early, turned on my laptop & made myself some breakfast. As I sat down to my computer, I was surprised to see that I had over 100 new emails, & I don’t know how unusual that is for some people, but for me it’s way out of the ordinary! Most of them were telling me about new subscribers to this blog, so a big ‘Hello!’ to all my new readers 🙂 You rock! The other emails were informing me of new twitter & tumblr followers, as well as facebook messages & friend requests. It took me a second to figure out why I was so popular all of a sudden, then I remembered that my Tiny Buddha post was published today. Needless to say, I did my *happy dance* while eating my peanut butter on toast this morning! The best surprises of today, however, are all the super encouraging, supportive & kind comments from my readers. So many people can relate to my story, to being lost, & to feeling like a failure. And even more people can relate to finding themselves, their true path, & turning failure into success. So, to all the people who took the time to read my post & to those who left me such amazing comments: thank you. A lot of your words really inspired me today, & you have all made everything that has happened here in China just that much more worth it. My passion for writing, creating & sharing my positive vibes with others has grown so much because of all your support, & I intend to make the most of it. My whole day today has been a complete whirlwind of AWESOMENESS! It has taught me that I really can inspire & help others, that people like my writing, & that what I have to say is worth sharing with the world. New opportunities have revealed themselves to me as a result of my Tiny Buddha post, & I can’t wait to see what amazing things are heading my way!